The US Senate has passed an update to the much-criticized No Child Left Behind education with a vote of 81 to 17. The bill cleared a week after the House barely passed its version of the rewrite of the 2002 law. This win was one that Republican supporters had worked months to achieve. Maggie Severns and Kimberly Hefling, writing for Politico, say it is now time for the two chambers and the Obama administration to negotiate a bill that will be acceptable to the President and House Republicans. The House GOP members passed their bill without any Democratic support and under the threat of having it vetoed. Now, the battle will be getting a bill signed. 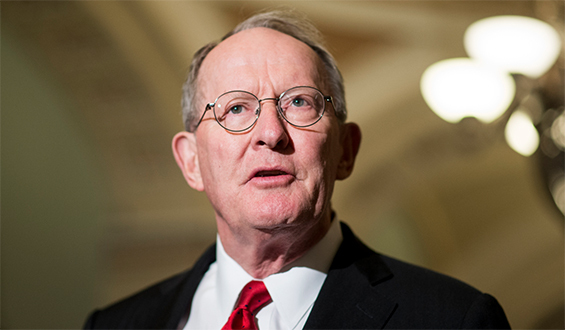 The Senate passed the proposal smoothly mainly because Senate education committee Chairman Lamar Alexander and ranking member Patty Murray showed tremendous bipartisanship. During the last week, Alexander and Murray cut deals on amendments concerning immigration and funding and kept the bill on track. Voucher proposals from Republicans, which would have been deal-breakers for Democrats, were defeated. Small changes proposed for combatting sexual assault at schools and supporting workforce education were adopted. The current House and Senate bills would keep annual testing in reading and math while taking steps to strengthen local control. They also lessen the education secretary’s control and make federal education programs more efficient. The only real stop sign for the president and Democrats is a provision that would allow federal Title I funding to follow low-income students to public schools of their choosing. The Senate has already voted down such amendments, even one offered by Alexander. According to the Associated Press’ Jennifer C. Kerr, the Senate version of the rewrite gives states and districts expanded authority over whether and how to use the law’s annual testing schedule to assess the performance of schools, teachers, and students. Alexander (R-Tenn.) and Murray (D-Wash.) included the prohibition of the federal government from requiring specific sets of academic standards like Common Core. Education Secretary Arne Duncan said the bill makes progress in replacing NCLB, but still does not give “every child a fair shot at success by failing to ensure that parents and children can count on local leaders to take action when students are struggling to learn.” He and other Democrats wanted the Senate to add stronger accountability measure into their bill. This means the Senate voted down the requirement that states identify the country’s lowest-performing schools and ensure they have turn-around plans for improvement. The Senate also defeated a Democratic proposal to expand pre-K programs for children in low and moderate income families. Alexander’s shepherding of the bill through the Senate will be part of his legacy, writes Mary Troyan of USA Today. He has been an important influencer of education policy for 36 years, and passing this new law will cement his mark on every public school in the nation for years to come. Still, civil rights advocates and Democrats do not like that the new law would no longer require schools with minority, disabled, or English language learners, who often fall way behind their peers, to make appropriate changes. “Without these fixes … to ensure data transparency and preserving the oversight authority of the secretary of education, this bill will not serve all children in all schools,” said Nancy Zirkin, executive vice president of the Leadership Conference on Civil and Human Rights, which urged senators to vote against the bill. The post As Senate Passes ESEA Bill, Focus Shifts to Compromise appeared first on Education News.